Let everyone in the office know where your allegiances lie. The Avengers Evil 20 oz. Heat Change Ceramic Mug is the only way to go. 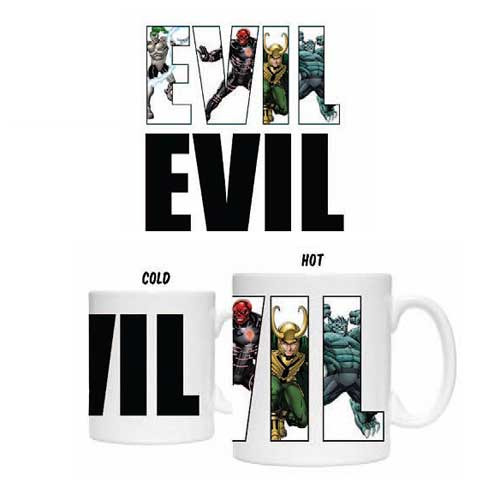 Declaring "EVIL" when cold, each letter reveals a different enemy of the Avengers once your warm beverage of choice is added, including Whiplash, Red Skull, Loki, and Abomination. Hand wash only. Not dishwasher safe. Do not microwave. Ages 12 and up.